← double! What in the world? We need a better solution than bumbling humour on The Good Wife! So, you know that we have been following the adventures of various players in the market including the double on The Good Wife (Please make it stop!). But what is exciting is that RoboBusiness is teaming up with Suitable Technologies and offering people that do not want to suffer the cost of a flight to visit the conference by Beaming in via the Beams. Instead of the cost of a flight, a hotel, the cost of a ticket ($1200/person) and the hassle of jetlag (and if you are from out of the country, the cost and hassle of a visa) – you can spend $50 and get your run of a Beam during the conference. If you click here, you can sign up and reserve your Beam — and even get a chance to practice on one of the Beams in California. Now, we got the email that suggests to companies to use the Beam to attract people to the conference for a face-to-face (as we hear EIC Owen Thomas at ReadWrite might have someone Beam in). Why fly when you can Beam? Robotics Trends has partnered with Suitable Technologies to significantly increase Showcase attendance and media coverage. 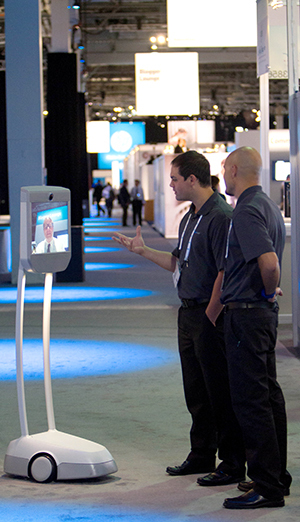 Engage on-site attendees; Enable remote attendees to engage you. We will be checking out RoboBusiness via the Beam – similar to what we did at SxSW and at ComicCon in San Diego. And with the new Beam Pilot Interface, we found ourselves really getting good at navigating and interacting with the remotes on the other side of the world. 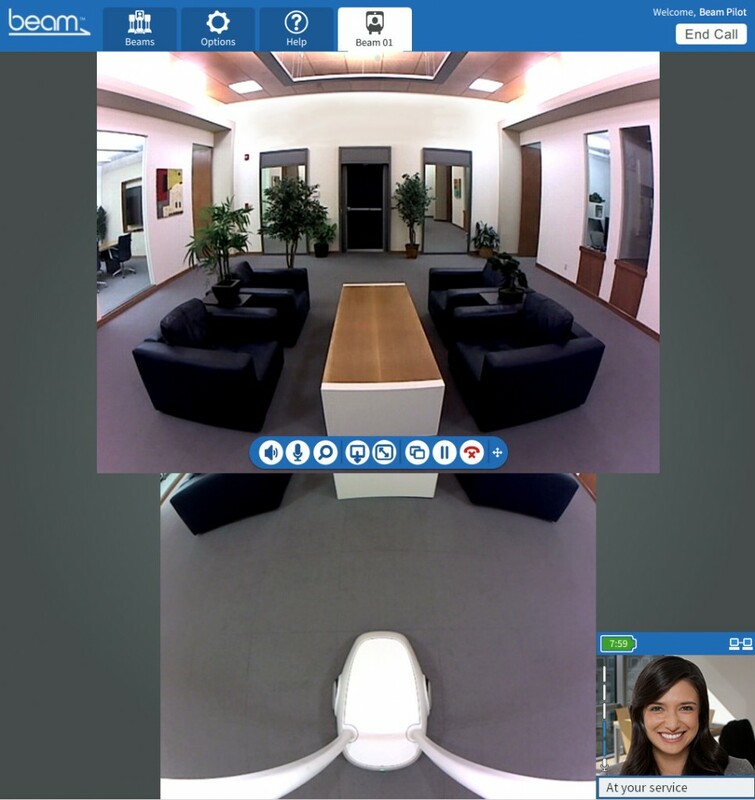 This entry was posted in Beam, Remote Presence News, Remote Presence Systems, RPS Companies, Suitable Technologies and tagged Beam, remote presence, remote presence systems, RoboBusiness, Suitable Technologies, telepresence robotics. Bookmark the permalink.